Can I work with faculty on research projects? Yes, over 50 percent of undergraduates participate in research while at Vanderbilt. Opportunities include generous university-funded summer research stipends and departmental honors programs. Most undergraduates get involved in research by actively reaching out to professors whose current research interests them. Students conduct research across all academic disciplines regardless of their major field of study. Learn more at vu.edu/undergrad-research. Does Vanderbilt offer study abroad? Yes, studying in another country offers students a remarkable opportunity to learn about different cultures, societies, and languages. Vanderbilt offers a wide variety of study abroad options that accommodate students in all disciplines and majors, ranging from short-term programs that focus on specific topics to full-year immersions at outstanding partner institutions. Currently, Vanderbilt offers over 120 programs in more than 35 countries. Approximately 40 percent of students study abroad at least once before they graduate. The Global Education Office website provides details about Vanderbilt’s programs, and is geared toward enrolled students who wish to learn more about spending time abroad. Vanderbilt’s 7:1 student-to-faculty ratio gives students access to faculty across academic disciplines. Ninety-one percent of classes have fewer than 50 students and over half of Vanderbilt undergraduates conduct research in close collaboration with faculty, doing innovative work across academic disciplines. Opportunities to interact with faculty outside of the classroom begin day one at Vanderbilt. All first-year students live on The Martha River Ingram Commons, a living and learning residential community. A faculty member serves as head of house for each of the 10 houses and lives side-by-side with students, acting as both teacher and mentor. Beyond the first year, student-faculty interaction outside the classroom continues as a hallmark of the Vanderbilt experience. How does academic course advising work at Vanderbilt? All Vanderbilt students have a faculty adviser, and typically students meet with their adviser at least once a semester. There are slight differences in the advising programs of the four undergraduate schools, as explained below. Students in the College of Arts and Science are assigned a pre–major adviser the summer before their first year. After students declare a major (by the end of sophomore year), students work with a faculty adviser within the department of their chosen major. Students in the Blair School of Music and the Peabody College of Education and Human Development are assigned a faculty adviser in the major into which they are admitted, but they have the option to change advisers or majors after the first year. Students in the School of Engineering are assigned a faculty adviser from their selected major upon entry or from any department if they have not chosen a major. Engineering students select their major by the end of their first year, at which point they may change their adviser. Is career counseling available to help with finding a job? Yes, Vanderbilt’s Career Center offers resources such as individual career coaching, career exploration tools, and on-campus recruiting events. Please visit the Career Center website for more information. Yes, you may change your major up until the fifth day of classes during your senior year as long as you complete the necessary requirements. Students who wish to move to another undergraduate school at Vanderbilt can do so after they have completed two semesters and as long as they are in good academic standing. Is it possible to double major? How can I minor in a field? Yes, it is possible to pursue double majors and minors, even in unrelated academic fields and across undergraduate schools. The ease with which students complete double majors and minors depends heavily on the structure of each area of study and the timing of that decision. Students interested in pursuing double majors and minors do not indicate this on their applications. Instead, the declaration of such plans is made after matriculation. The feasibility of adding a second or third area of study for a transfer student will depend on several factors, such as when you enter the Vanderbilt curriculum and what classes you have already taken; students are encouraged to work with their academic advisers in making these decisions. What courses are offered at Vanderbilt? The Course Catalog is available online and includes organized, detailed, descriptive list of the course offerings at Vanderbilt. What do Vanderbilt students do after they graduate? One year after graduation, approximately 65 percent of Vanderbilt graduates are employed, 25 percent are attending graduate or professional school, and about 10 percent are traveling, doing internships, or engaged in some other activity. In recent years, about 70 percent of graduating seniors who are admitted to graduate or professional school are admitted to their first-choice school. For more information, please visit the Career Center website. What majors are offered at Vanderbilt? Vanderbilt offers 68 majors within four undergraduate schools and colleges. What resources and facilities are available for academic assistance? 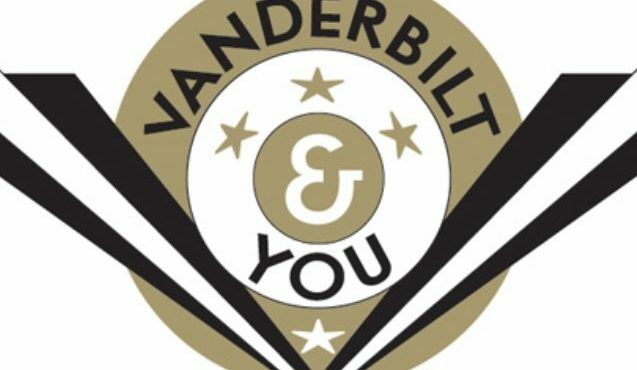 Vanderbilt encourages students seeking help regarding their academic performance to meet with their professors or consult with their academic advisers right away. Other options for assistance include the Writing Studio, Tutoring Services, and the Equal Opportunity, Affirmative Action, and Disability Services Department. Where can I get information on pre-med, pre-law, or pre-business? Information on Pre-Professional Programs is available online. Vanderbilt offers pre-professional advising for students interested in pre-health, pre-law, pre-business, and pre-architecture. While we do not offer a business major, students interested in business are encouraged to explore our Economics and Human and Organizational Development majors, and to work with their academic adviser and the Career Center to plan an appropriate curriculum.